New babies are reasons to celebrate, as are first birthdays. These times allow you to show your support to new parents, while helping to shower their little one with love and gifts. However, the prospect of shopping for a baby leaves some people at a loss. Luckily, the following list has you covered with 4 adorable gift ideas that would be big hits at a baby shower or first birthday celebration. 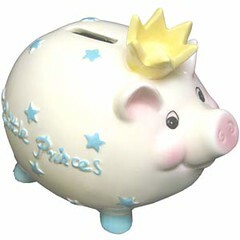 From personalized piggy banks with a few dollars to add to, or beautiful silver frames for a picture of the new little family, or even a first teddy bear, there are hundreds of customizable keepsakes that make awesome baby shower or birthday gifts. Be sweet, kind, and sincere in your choice of keepsake. Because these are items that could last throughout a baby’s childhood, and even well into adulthood. They are sentimental for a reason. If you are the crafty kind, invest in some fabrics and stuffing to make your own baby-friendly, kid-safe stuffed animals. Or, opt for a woven blanket, with tight loops to keep a kiddo warm, secure, and protected through the night. You can go with the traditional colors: pink for girl or blue for boy. Or, make your own blend with colors that the parents love, like a beautiful green and red blanket. No kiddo can have enough, or too many, books. 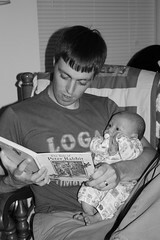 And it's never too early to instill a love for reading with books galore. Pick your childhood favorites, like Little Golden Books, and bestow them on the parents-to-be. You can bet mom and dad will read these stories often. They are sure to become before-bedtime classics in their household. If you would rather go the practical route, diapers, bottles, or even gift cards to baby stores, are always winning presents. They aren’t quite as personal, but their association with the baby-to-be makes them adorable. To make these necessities a little more…memorable, consider adding on a customized gift for a combo of fun and sentimental with functional and must-have. The above-mentioned gift ideas are things that any parent-to-be will love for their baby. Whether you are going to a baby shower, or a first birthday celebration, use them aforementioned ideas as a guide to picking the perfect presents.